What is the difference between transpersonal and more conventional approaches to psychotherapy and to what extent do they complement each other? Zelda Hall MA MSc. is a psychotherapist in private practice. She was born in Northern Ireland and has lived in the Netherlands since the 1980s. Zelda has been working with groups and individuals for over thirty years. A main influence in her approach is the work of Arnold Mindell (Process Oriented Psychology) and she was chair of the Association for Process Oriented Psychology in the Netherlands for seven years. She also has a background in Body Oriented Therapy. Zelda gained her MSc. in Consciousness, Spirituality and Transpersonal Psychology with the Alef Trust. Her dissertation was on the significance of childhood dreams for psychospiritual development. Her work on dreams and body symptoms has been published in both Dutch and in English. Zelda has lectured and led workshops in the UK, the Netherlands, Ireland, the US and New Zealand. She is a tutor in therapist training programmes in the Netherlands. Her interests lie in the exploration of the role of the body and of physical symptoms in spirituality. She is passionate about the emergence and integration of the Deep Feminine and the implications that this has for our planet. Paul Maiteny is a psychotherapist (in private practice), an ecologist and anthropologist. He is a steering committee member of the transpersonal faculty of the UKCP. With 30 years’ experience in ecological education and research, he has been publishing on what is now known as ecopsychology since the 1990s, focusing on its psychospiritual and cultural dimensions. 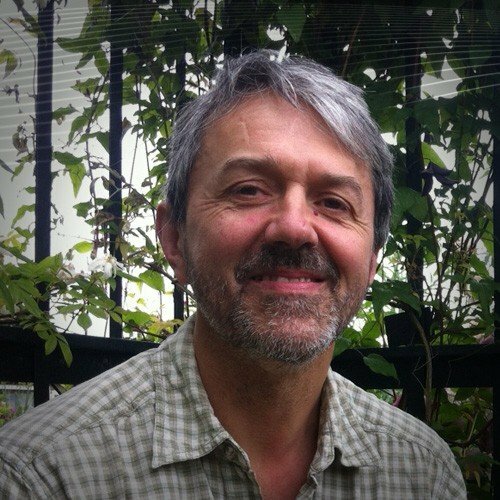 Paul has held research and teaching posts at Oxford and Open Universities, and UCL. Research interests include psycho-spiritual and socio-cultural causes and consequences of ecological problems, the possible evolution of sustainability, human evolution in transpersonal (andeco-systemic) context, and clues to the latter within spiritual-religious texts, scriptures and myths. He has always been inspired by the invisible web of relationships between beings that constitute the eco-system. If you would like to enrol, or request more information on our ‘Transpersonal Psychotherapy & Counselling’ course then simply complete the form below and a member of our team will contact you. We offer a unique transformational learning experience and will be here to guide you through every step of your journey with Alef Trust.